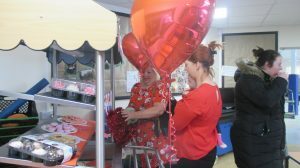 On Friday 1st February we held a Red Day in school to raise funds for Childrens Heart Surgery Fund which supports children with congenital heart disease. 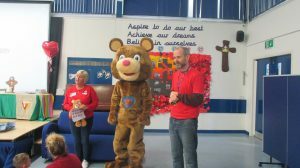 For a donation, all children and staff wore red and we held a Coffee Morning and Cake Stall. 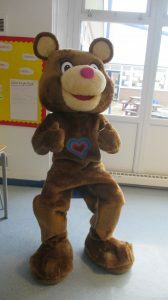 This was then followed by an assembly for whole school where we had a visit from Katie Bear!! Everybody had a great day raising money for this wonderful charity.